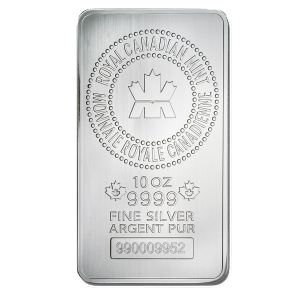 The Royal Canadian Mint is a world-renowned mint that offers bullion in many different forms. 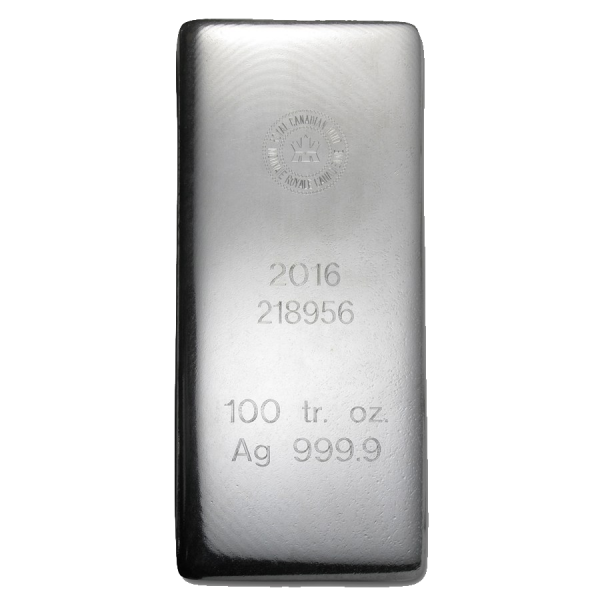 These old-style, 100 oz RCM Silver bars are a great way to own Silver bullion, as they allow for larger Silver purchases. Contains 100 oz of .9999 fine Silver. 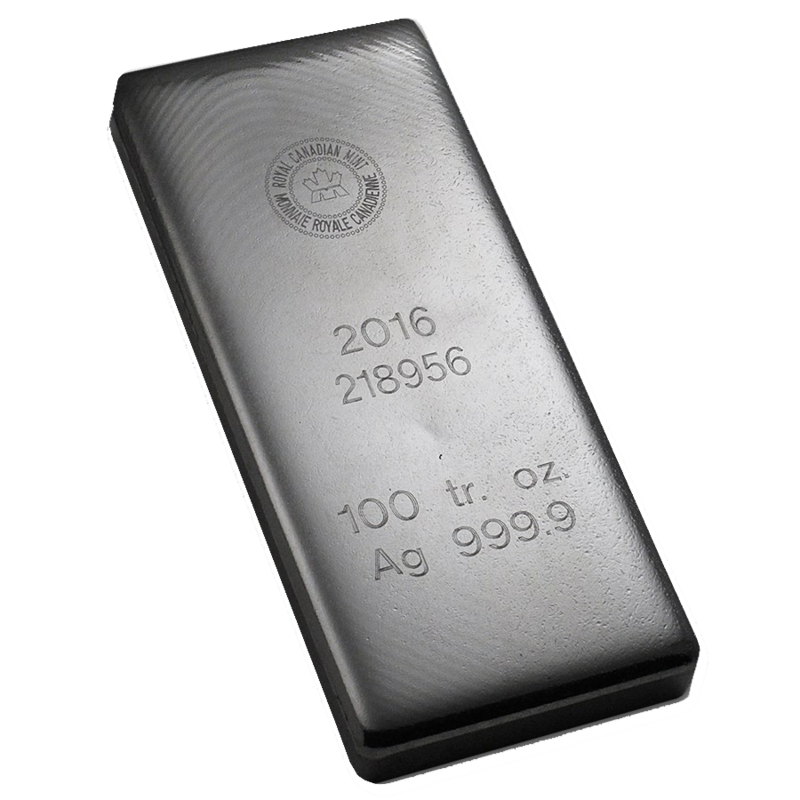 Obverse: Features the RCM logo, as well as the weight and purity. This RCM Silver bar is stamped to denote its 100 troy ounces and their serial number to ensure authenticity.